Dr. Kazem Kazerounian, Dean of the School of Engineering, recently announced the appointment of Dr. Sanguthevar Rajasekaran – Board of Trustees Distinguished Professor as well as UTC Chair Professor – as the next Department Head of the Computer Science and Engineering Department effective February 1st, 2019. Dr. Rajasekaran will be taking over the role from Dr. Reda Ammar, who had graciously accepted to be the interim head for the past few months. Dr. Rajasekaran received his M.E. 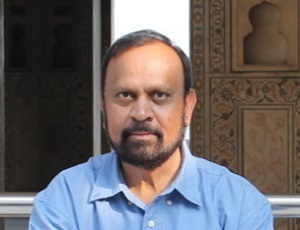 degree in Automation from the Indian Institute of Science (Bangalore) in 1983, and his Ph.D. degree in Computer Science from Harvard University in 1988. Currently he is the Director of the Booth Engineering Center for Advanced Technologies at the University of Connecticut. Before joining UConn, he served as a faculty member in the CISE Department of the University of Florida and in the CIS Department of the University of Pennsylvania. During 2000-2002 he was the Chief Scientist for Arcot Systems. His research interests include big data analytics, bioinformatics, parallel algorithms, data mining, and randomized computing. He has published over 350 articles in journals and conferences. The best-known algorithms for many fundamental problems have been invented by him. He has co-authored two texts on algorithms and co-edited six books on algorithms and related topics. He has been awarded numerous research grants totaling 20 million from such agencies as the National Science Foundation, the National Institute of Health, the Defense Advanced Research Projects Agency, and the Department of Homeland Security. He is an elected member of the Connecticut Academy of Science and Engineering. He is also a Fellow of the Institute of Electrical and Electronics Engineers and a Fellow of the American Association for the Advancement of Science.